By printing digitally on rolled materials which can be joined seamlessly, we are able to create large-format graphics to practically any size. The only limiting factor is your imagination! 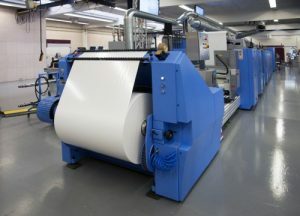 By using this technology, we can print on both paper for posters or billboards, single or double-sided vinyl banners and materials for backlight printing. Our high quality materials and inks are perfect for both indoor and outdoor use. We can also produce vinyl mesh banners for the purposes of really large-format projects such as dressing buildings. For example, when a luxury hotel is being renovated with scaffold outside it, we can create a printed façade to temporarily hide the steel work. Our printing inks (solvent and light-curing UV) are based on organic solvents which makes the printed materials much more resilient to external factors, including ultraviolet radiation. As a direct consequence, our products do not require any additional laminate protection. 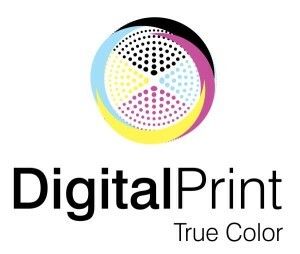 We offer extremely high-quality universal digital printing for both indoor and outdoor use. With one of the largest ranges of materials in Europe, we are able to provide you with a really rich variety of products and finishes.